Many of you will be familiar with Feng Shui, the Oriental art of placement, where you arrange your living environment to allow smooth flow of chi through your home, eliminating areas where chi will stagnate, and slowing down the speed of fast-rushing chi. So what has that to do with Reiki? Well they both deal with chi, but what I am really thinking of is applying the basic principles of Feng Shui to our practice of Reiki. This may seem a little strange, but please bear with me. The basic principle of Feng Shui, the first thing you have to do before you do anything else, is to get rid of your clutter, because a cluttered environment leads to a cluttered life. Only once you have rid yourself of your unnecessary bits and pieces should you move in to apply the other more specific principles of placement. 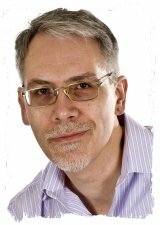 So could we de-clutter our practice of Reiki, what would that be like, and how could we achieve that? 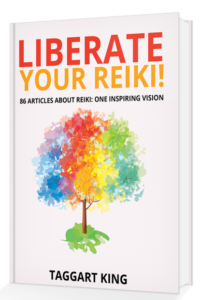 Is our Reiki cluttered now? How could we pare it down to the essentials and leave the unnecessary stuff behind? We do seem to have a tendency in the West to make things endlessly complicated, almost on the basis that if it’s more complicated then it’s better. We like to introduce rules and regulations and restrictions and dogma, maybe because rules make us feel supported and safe, or maybe because we just can’t leave a simple thing alone! Yet the system that Usui Sensei taught to his surviving students wasn’t complicated. It wasn’t cluttered. It was simple and elegant and profound, and I think that we’ve drifted away from that in many ways. 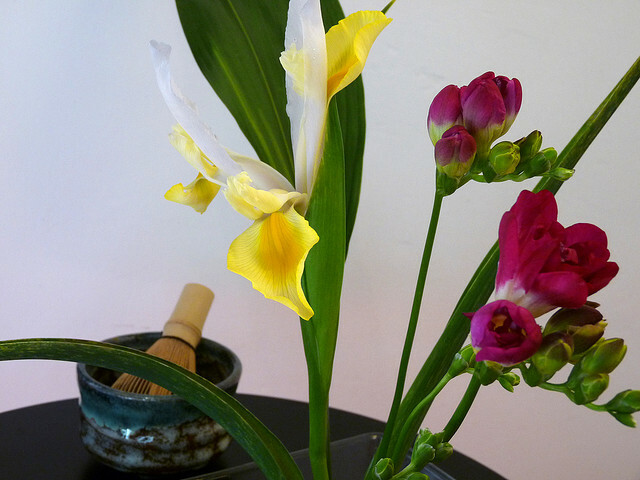 We’ve introduced rules and restrictions and dogma into many aspects of Reiki practice: connecting to the energy, treating someone, hand positions, distant healing methods, situations where you ‘should not treat’. This is all clutter and we can do without it. Freeing ourselves from this burden of technique and method and limitation would be a great and beneficial clear-out. Let’s look at a few examples of unnecessary clutter. A while ago I was contacted by a poor girl who had been taught that she needed to go through a fifteen-stage ritual in order to ‘connect’ to Reiki. She and the other students on the course were quite worried, obviously concerned that if they didn’t get all the stages right then the energy wouldn’t come through properly and their treatments would be ineffective. Naturally they wanted to do the very best they could for the people they were working on, and they were focusing hard on getting all the necessary stages right. Yet ‘connection’ with Reiki is simply a state of mind; you connect when you intend to connect. Some people will hold their hands in a particular position (hands above them with palms uppermost to the sky, hands to the sides with palms face up, hands in the prayer position, hands in their lap with palms up, hands folded over the Dantien). Maybe they will say a set form of words, but all these are optional. Bring the energy through your crown to your Dantien and bathe in the light, flood the energy through your body, be still; you are connected when you intend to be. Connection is a matter of focus, of intent, a matter of where your attention lies. Some people are taught that they must always keep one of their hands in contact with the recipient when they treat, based on the idea that if you take both hands off then you have lost your connection to the recipient and the energy will not flow properly. But your connection to the recipient is a state of mind too: you focus your attention on them, you merge with them and become one with them, and that is sufficient no matter what you are doing with your hands. In fact your treatment starts as soon as you are standing by the table with your attention directed towards the person. Your treatment has already started when you are scanning, or feeling the energy field. Reiki works just as well when you have your hands off the body, though Reiki is basically practised as a hands-on method. Standard hand positions to use at all times? Some Reiki people are taught rigid ‘standard’ hand positions that have to be used every time you treat, and there is the view that if you are not using ‘the’ hand positions then you haven’t been taught properly. Some even have a rigid time limit that has to be followed, so you can only keep your hands in each position for so many minutes… you can buy Reiki CDs which make a little ‘ping’ sound every three minutes (or whatever), and everyone changes hand positions like a robot. Yet what if your hands are going like crazy, what if there energy needs to flood into a particular area for a long time and you need to keep your hands there for 5 minutes or 10 minutes or 15 minutes? The answer would seem to be that you follow the system rigidly and ignore your hands. How sad. Now standard hand positions are useful when you first learn Reiki: it’s reassuring to have some sort of system to follow. But we can move beyond those standard hand positions in a couple of ways. When we ‘scan’ the body we night discover areas that are drawing lots of Reiki, but they aren’t covered by the ‘standard’ hand positions… we can alter our hand positions accordingly, or add extra positions, to make sure we’re directing the energy into the areas that are drawing the most Reiki. We can use intuition, too, to control our hand positioning, and this has great benefits for the recipient because we are directing the energy into just the right combination of positions for each person we are working on. We might feel inexplicably ‘drawn’ to a particular area, we might just ‘know’ that we ought to be treating a particular area, or we might be practicing “Reiji Ho” from Japan, where our hands are drawn by ‘invisible magnets’ to the right areas to treat. Again we are leaving the rigid standard positions to one side and going with the flow. That was Usui’s way: there were no real standard positions. You simply put your hands where they wanted to go. Distant healing is another area where lots of rules and regulations have crept in over time. Some people are taught quite complicated rituals that they have to carry out when they perform distant healing, with a set form of words that ‘have’ to be used in a particular way, and with various required visualisations. Yet the bare bones of distant healing are to know where the energy is to go – to set a firm intent – to use the distant healing symbol maybe, and to merge with the recipient, allowing the energy to flow. Anything beyond that is optional. People have different styles: some like to actively visualise and develop a detailed ritual, and that’s fine, but it’s not actually necessary. Others like to keep it simple, and that works just as well. Even the use of the distant healing symbol is optional, though it does help us to focus on merging with the recipient, a way of experiencing ‘oneness’ with the person you’re sending the energy to. Distant healing is perfectly possible at First Degree level, too: it’s simple a matter of intent, of focusing your attention in a particular way. The energy follows your thoughts, it follows your focus. The final area where we could give our Reiki a big ‘clear out’ is in the rules and restrictions that can control who we should and should not treat. Some people are given a long list of ‘contraindications’: situations where you should not give Reiki because it might be dangerous. Some contraindications that I have come across include: pregnant women, babies, people with pacemakers, diabetics*, people undergoing an anaesthetic, people wearing contact lenses, people with cancer, people suffering from stress, people with broken bones, people taking homoeopathic remedies, people undergoing chemotherapy, people with a torn muscle. There will be many more examples taught in different lineages. These restrictions are nonsense, they have no basis: there is no proper evidence – even anecdotes – to back up the restrictions that are taught in some lineages. Reiki is safe, the person’s body draws it to the right areas to treat, and Reiki is often seen as divinely inspired, intelligent, it is seen as pure unconditional love. That view hardly sits too well with the suggestion that you can hurt someone using Reiki. We think too much, we worry too much, and we create problems where there are none. Time for some Reiki Feng Shui? So a practice of Reiki that follows the first principle of Feng Shui will be a simple practice, free from rules, restrictions and self-imposed limitations. Feng Shui’d Reiki will be free from dogma, and free from rituals that you ‘must’ follow for Reiki to work effectively. It will be a practice that is based on simple intent and intuition, where you merge with the recipient, where you become one with them, and where you let the energy guide you. Let’s get rid of all that clutter and free up our practice, and just let the energy flow.